Excerpts of some DVDs are available. To watch, click the title of the DVD you are interested in and then use the embedded video player located below the description paragraph. Self-defeating behaviors may have once helped a person survive a crisis, but now cause harm by limiting the client from potential to develop healthy behaviors. Some examples of self-defeating behaviors include procrastination, defensiveness, perfectionism, under-achievement, and so on. 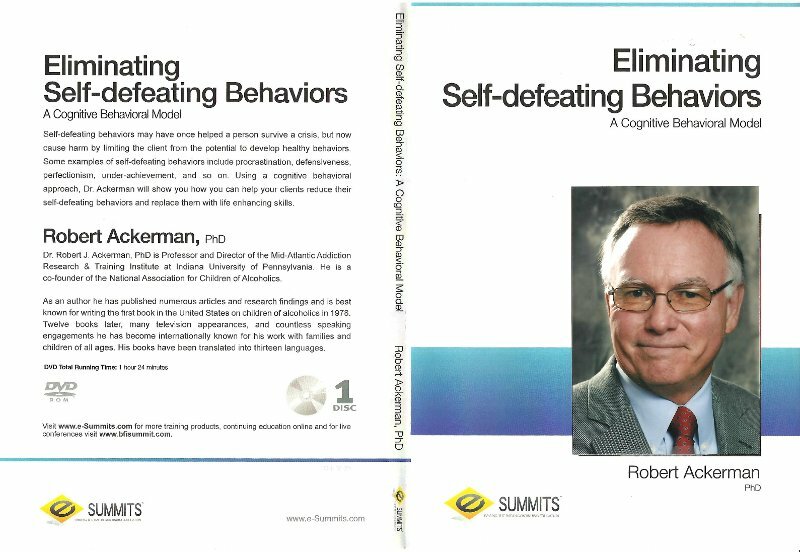 Using a cognitive behavioral approach, Dr. Ackerman will show you how you can help your clients reduce their self-defeating behaviors and replace them with life enhancing skills. This workshop will focus on the concerns, emotions, and recovery issues for adult daughters of alcoholics and other dysfunctional families. 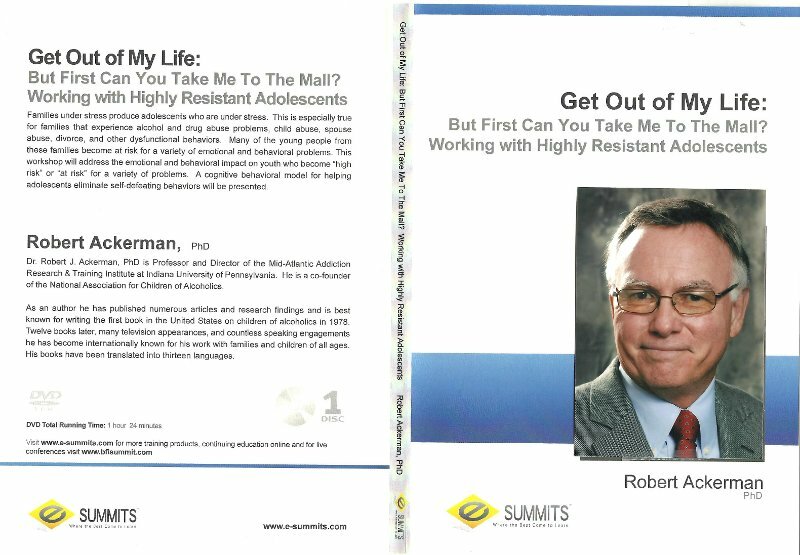 This workshop is based on Dr. Ackerman's research and work with more than 1,200 women in the United States. Identification of problems for adult daughters and intervention techniques will be presented. The workshop will focus on the positive and as well as the negative characteristics and behaviors of adult daughters with a special emphasis on the transitions necessary to acheive a more balanced and healthy life. Families under stress produce adolescents who are under stress. This is especially true for families that experience alcohol or drug abuse problems, child abuse, spouse abuse, divorce, and other dysfunctional behaviors. Many of the young people from these families become at risk for a variety of emotional and behavioral problems. This workshop will address the emotional and behavioral impact on youth who become "high risk" or "at risk" for a variety of problems. A cognitive behavioral model for helping adolescents eliminate self-defeating behaviors will be presented. 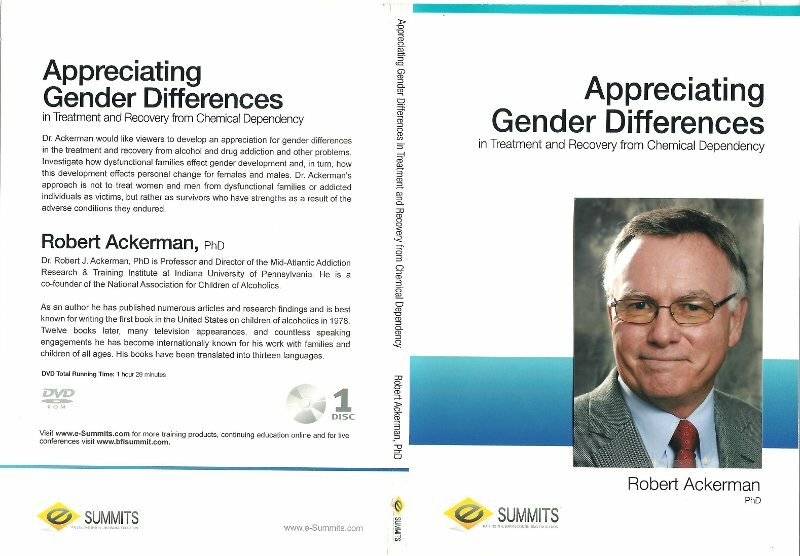 Dr. Ackerman would like viewers to develop an appreciation for gender differences in the treatment and recovery from alcohol and drug addiction and other problems. Investigate how dysfunctional families effect gender development and, in turn, how this development affects personal change for females and males. 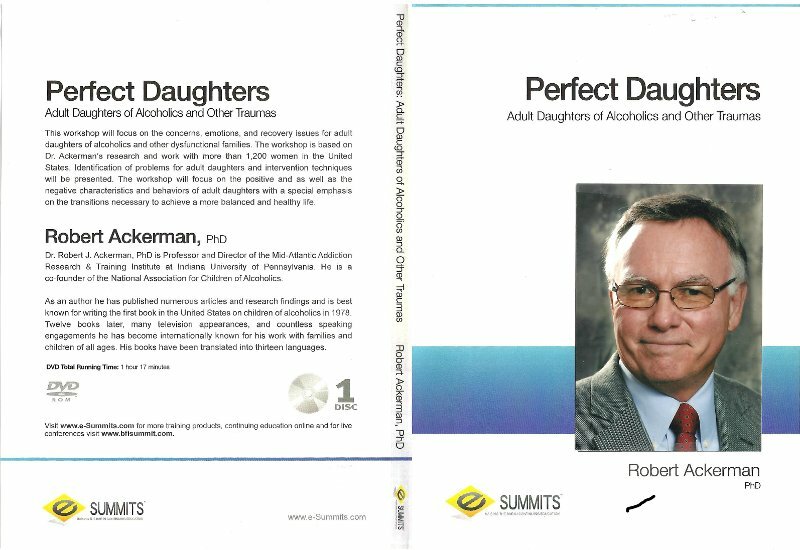 Dr. Ackerman's approach is not to treat women and men from dysfunctional families or addicted individuals as victims, but rather as survivors who have strengths as a result of the adverse conditions they endured.